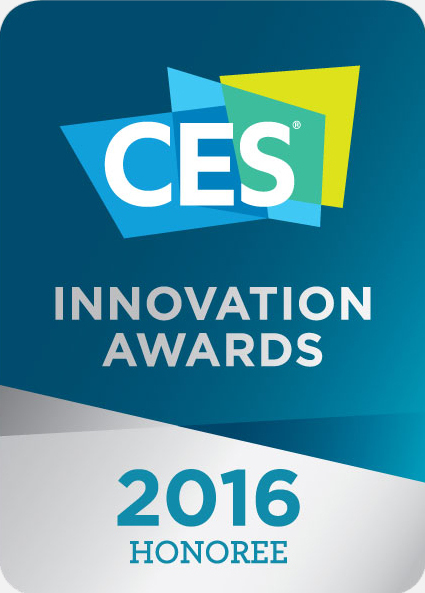 Car Cup Mount for Smartphones is rated 2.6 out of 5 by 41. Rated 3 out of 5 by phillycheese from Was the perfect iPhone holder, until it broke... 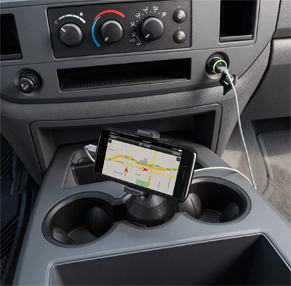 I purchased this Belkin iPhone car cup holder mount about 10 months ago. 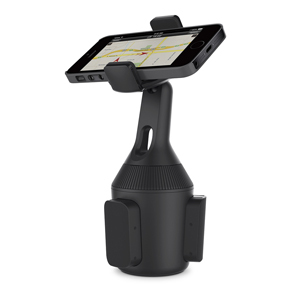 I loved this mount--it was exactly what I was looking for in an iPhone car holder, the form, the ease of use, and how it fit perfectly into the center console cup holder in my car. Unfortunately, like most other reviewers here, the mount broke (separated) one day a few weeks ago. It seems that some internal plastic piece in the base has broke, as I can't join the two halves together and get the action working properly again. I hope Belkin fixes this design flaw in the future, as I would buy a similar product again. Rated 1 out of 5 by Todd4848 from Garbage Bought this several months ago from a Staples store. It worked great... for a short time then the (really cheap) plastic in the core broke... and I only adjusted it once for the cup holder in my Infiniti. Would not buy again! Rated 2 out of 5 by Bjeven from Broke Bought one a month ago and was very pleased with it, until it stopped expanding after a couple of weeks. Now the top is just turning and we can no longer mount it. Rated 1 out of 5 by TX CPA from Great initially, broke after little use Poor design and materials. The holder broke after very little use. Apparently, the rigid plastic used and connections within the unit do not hold up. The unit just popped one day, while not even being used, then would no longer hold together. Very disappointing. Rated 3 out of 5 by 13105rc from Product won’t last. I bought one of these from Staples in 2017, about 6 months later I get in my car and the device has sprung, took it back and they gave me a new one. Guess what happen today I get in my car and it has sprung again. You can no longer tighten it to fit in the cup holder. Rated 1 out of 5 by Phoenix from Great Feature, really fragile. I have three of these and all failed within a year. The internals are rigid plastic and the bottom of the mount breaks such that it can't be tightened in the holder any more and just flops around. All three broke the exact same way. The internal base parts fractured. 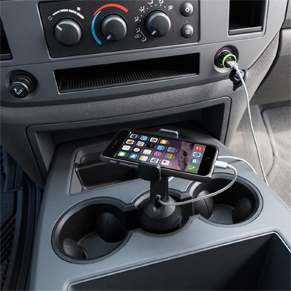 Rated 5 out of 5 by Barry from Easy Breazy This works great for my Audi Q7 and I phone 6s. I just upgraded to the Iphone X and hope Belkin will put the resources to create this with a wireless charging. That would really be convenient. Rated 1 out of 5 by Lee TR Turner from Great Concept, poor quality Bought 5 months ago and it will not tighten in the cupholder. It's coming apart. Rated 2 out of 5 by PeterPan23 from Great concept, poor quality The overall idea is great and the mount looks elegant and neat in the car. Unfortunately like with many others here, I could not use it at all. Once I received it and tried to install it, the top and base separated and the mount could not be fixed as it was now in parts. Have sent it back and I am hoping the replacement will work. Rated 5 out of 5 by SaintIndy from Fantastic I've had this for over two years, and it is great. No problems at all. I've recommended it to many. Stable and unobtrusive in both my A4 & GTI. No durability problems for me. Rated 3 out of 5 by disappointed1203 from Didn't last long I purchased this at an Apple Store. The car cup holder didn't last about two months until the base expansion legs retracted by themselves. Once that defect happened, the car cup mount rolled around in the cup holder. Rated 3 out of 5 by Running dog from Works Great Until it Doesn't I have gone through FOUR of these (one after the other) over the past nine months. As others have described, all four have had the base separate from the top end, so that they can no longer be tightened. I would have rated these five stars except for this problem. I think Belkin should take this feedback, examine, and correct this design flaw. Then they will have a winner. I'd pay $50 for one (Instead of $33 at Target) if I knew it would last 2+ years. Rated 3 out of 5 by Raymi from It broke I bought it some months ago but as other reviews It broke without any force so now it is not posible to install it. Rated 1 out of 5 by Rob M from Not durable at all I bought the holder placed it into the cup holder and never removed it. The other day I found it loose in the cup holder and found that it was no longer gripping. I tried to tighten it but would not tighten. Found the plastic around the screw at the bottom had broken. Rated 1 out of 5 by Willoine from Poor quality I should have read the reviews before purchasing this product! I purchased it less than 3 months ago and the clamp are no longer working, making the mount useless. It was installed in one car and I never removed it, it just gave up one day! I would not recommend buying this product. Rated 2 out of 5 by Orlando Rick from Did Not Last Had this cup mount about 2 months when the tightening screw for locking the legs broke free without great pressure. It appears the internal broke track that broke was all plastic and poor quality. Rated 1 out of 5 by TonyC from Broke in 6 weeks My daughter purchased this for me as a gift in mid-April. It worked great and I was very pleased, but the screw mechanism which keeps the locking "legs" in place broke when I was trying to unscrew the unit so I could use the device in another car. The screw mechanism now does not work at all. Rated 4 out of 5 by lezkiwi from great idea...but i bought this a year ago and it has now lost its ability to grip to the cup holder. one of the expanding prongs has fallen out and the other two do not expand.i really like it though.i just wish it was a little sturdier . im going through the warranty process on it right now and i must say so far belkin have been really great . Rated 5 out of 5 by FrankB from Great functionality! Purchased one for wife who has cupholder in cat - works phenomenal! Rated 5 out of 5 by John B from Sturdy I love this holder. I got tired of moving it from one car to the other and purchased another one. Rated 2 out of 5 by crdop from Broken Again I've experienced the same issue reported by others with respect to the above reference Cup Mount. I am now on my second unit that just broke again. The top disengaged from the bottom so the cylinder inside does not lock in place and will not be able to lock into a cup holder anymore. Rated 1 out of 5 by Carlos M123 from Terrible Car Cup Mount My first Belkin car cup mount lasted less than a year and then became undone for some reason I couldn't figure out. The top wouldn't screw on properly and so it wouldn't secure to the cup holder. Ordered a new one on Amazon and within 3 weeks this time! it came undone yet again. Looks like Belkin uses some very cheap glue to hold this thing together and it has been a giant waste of money. I will NOT be attempting to purchase another one. Rated 1 out of 5 by Fletch from Was perfect, then it broke. I absolutely loved it up until it broke about a week into using it. Needs the base to be stronger, because getting it snug broke it right away. Rated 2 out of 5 by Marc C from Good idea but poorly made It seems that there's a reoccurring theme here. Yes, mine broke in three months and the same issue I'm reading on these reviews. The top disengaged from the bottom so the cylinder inside does not lock in place and will not be able to lock into a cup holder anymore. The product has been in one car for the last three months, so obviously it didn't get much use before it broke. I'm very disappointed with this product and I hope Belkin improves its durability before this happens to other buyers. Rated 2 out of 5 by Miguel from Didn't last I purchased this item 2 months ago. 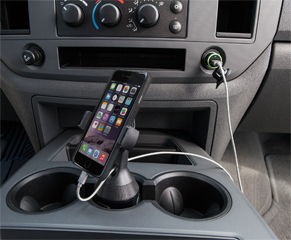 Initially it worked great in my Toyota Tacoma for my iPhone 7plus until I recently attempted to lift my phone out of the carrier and the internal crew stripped out rendering this product useless because it will not lock down in the cup holder now. Very disappointing. Rated 5 out of 5 by Belkin Fan from Perfect size and fit I love this product. Very sturdy and reliable. I'm a big Belkin fan, and have several phone port stands throughout my house. Belkin understands what accessories people need for cell phones.